Headquartered in Denver, Colorado, Kwik-Tek Inc. (now Airhead Sports Group) is a designer and distributor of branded towables and other inflatables including, wakeboards, water skis, kneeboards, life jackets, personal watercraft accessories, waterproof cases, protective fenders and bumpers, tow ropes and other recreational marine and water sports products. 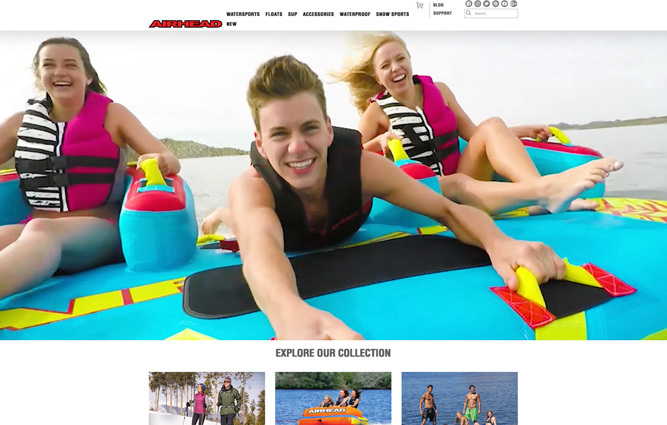 The company has become the market leader in the recreational marine and water sports industry and has established a reputation for quality, innovation and value. It has well recognized brands, and sells predominantly through sporting good chains, outdoor chains, mass retailers and marine distributors. For more information about Kwik-Tek Inc., visit www.airhead.com. At Guardian Capital Partners, contact Scott D. Evans.